So, Father’s Day is coming up on Sunday and who better to tell you what to get your dad then another dad! I’ll have to admit, some of these may not be ready for your dad before Sunday, but they’d be worth the wait and he’d appreciate it. It’s my fault for not getting this out to all of you sooner, so feel free to tell your dad that you blame us. Find the mug in the featured picture to hold him over, it’s one of my favorite mugs ever! Actually, you know what? You can find it here. It should also be noted that we were not provided any of these items besides bar2go (although we absolutely will take them and put up an honest review if any of the companies want us to). These are just honestly some things that we think dad would like. 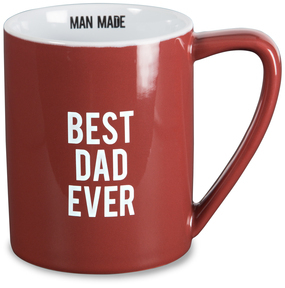 We’ll try to give you some different kinds of gifts because there’s all sorts of dads out there. Having a bourbon night with some friends and want to really impress them? Pull out this Pour Plank from Boothill Kitchen. I happen to be a big fan of this husband and wife duo and the products they sell. It’s a big reason why I am a loyal customer. This is an affordable, quality, product that really raises your bourbon game with spots for your Glencairns and also a chalkboard for you to write all of the different drams in your flight. You can get enough holes for 3-6 Glencarins and this starts at $40. Follow them on Instagram at Boothill_Kitchen and BoothillBlades. These guys just opened up last week and they’re bringing us some hand crafted leather wallets that anyone would be proud to carry. They just so happen to like bourbon too! Ideal for the dad that doesn’t want a bulky wallet, but also appreciates a good quality leather wallet that only looks better and better as you beat it up. Don’t let their prices fool you, they’re all in CAD, which is better for us in the states. Use the code FATHER15 now for 15% off your order. You can also find them on Instagram at Octo_Wallet. My dad got me this decanter for Christmas and I was so excited. They have lots of other good decanters as well, but this diamond with the wood just looks classy sitting on your shelf. They actually say that a diamond shape decanter is a little better because it is easier to get all the liquid out of the decanter. I ended up putting Weller Special Reserve in this one, as it’s the one that the Subourbon Mom and I share together, and it’s great. Even better, it means more to me because it came from my dad. Just think of how your dad would feel getting something like this from you. Learn more by visiting their website or checking them out on Instagram. Every dad needs a good EDC knife in their pocket. My go to lately has been the Foray by Benchmade. I love the deep carry in the pocket and this knife just happens to be an ideal size. I also happen to love the Axis locking system that Benchmade uses. This one isn’t the cheapest knife you’ll ever see, but, if you take care of it, it’ll last him forever. Learn more at their website. If you really want to step it up a notch, you can laser engrave the blade. They even engrave logos! I’ve posted before about the importance of bringing your own bottles with you when you travel. The bar2go has made it even easier with a great carrying case with foam cutouts and sample bottles provided for you. They even include a funnel to help you fill up your sample bottles, although we know a Dr. Brown’s straw can do that for you just as well. These will run you around $40, but they quickly become essential baggage when you travel. Learn more at their website or Instagram. This one goes without saying, but any dram looks better in a nice glass. What better way to celebrate Father’s Day, then to get your dad a one-of-a-kind Dads Drinking Bourbon Glencairn and welcome him to the club! For $15, we suggest you even get him multiples! He’ll appreciate it. And of course, you can always show dad you care by getting him a great bottle of bourbon!